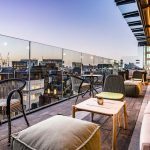 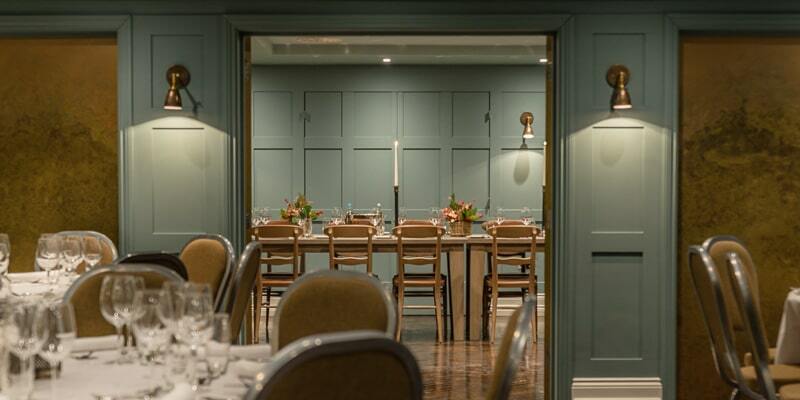 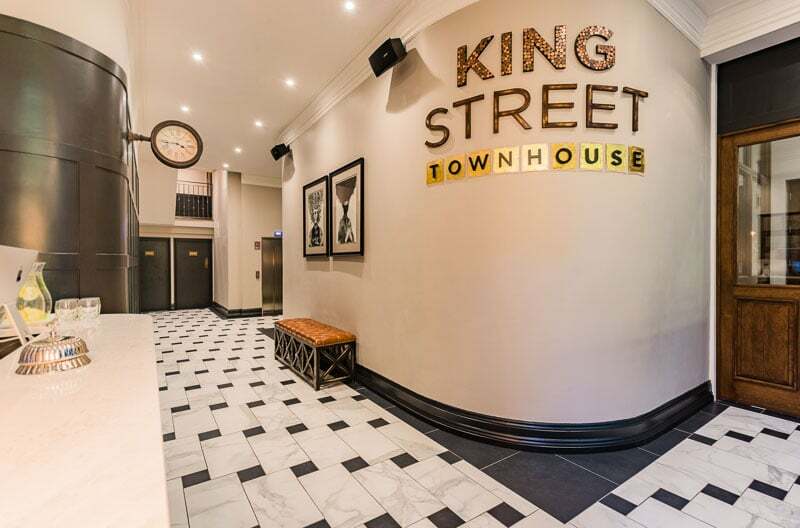 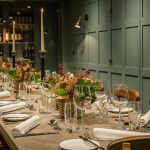 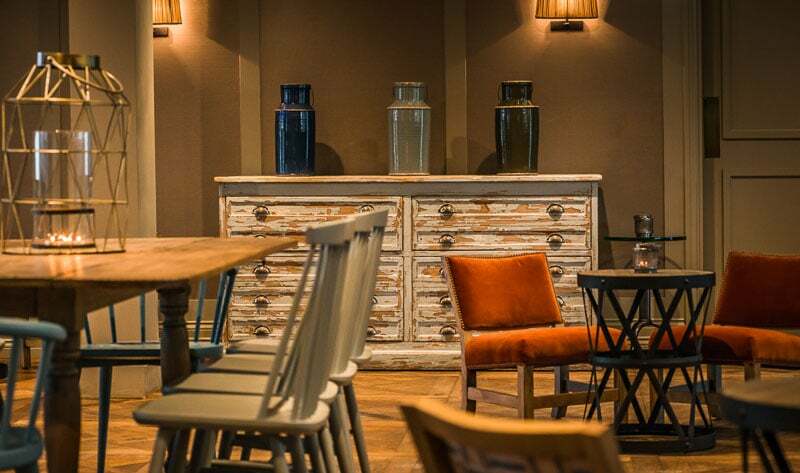 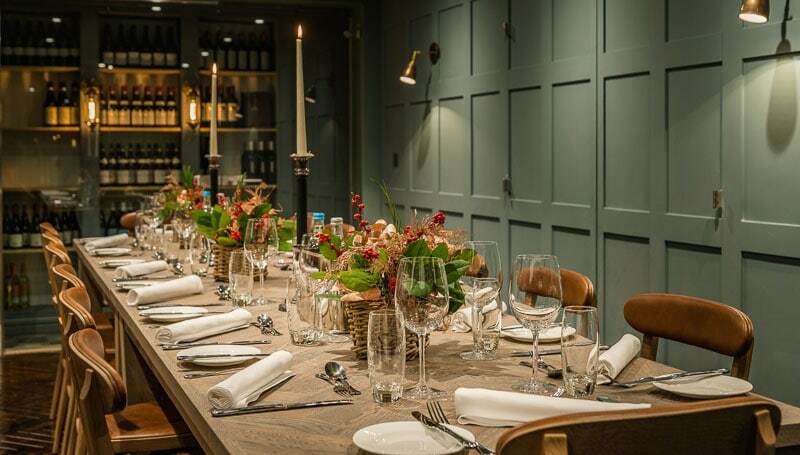 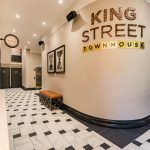 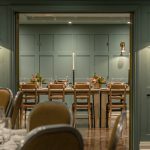 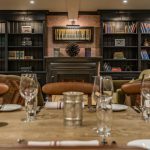 The Eclectic Hotel group has created a classical contemporary townhouse hotel, King Street Townhouse & Tavern, in the heart of Manchester’s Upper King Street Conservation Area. 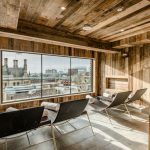 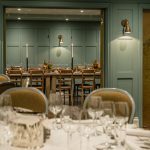 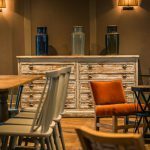 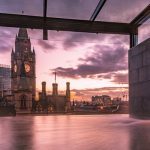 Transforming a beautiful Italian renaissance building, originally built in 1872 as the Manchester Salford Trustee bank into a stylish destination to stay or to have dinner. 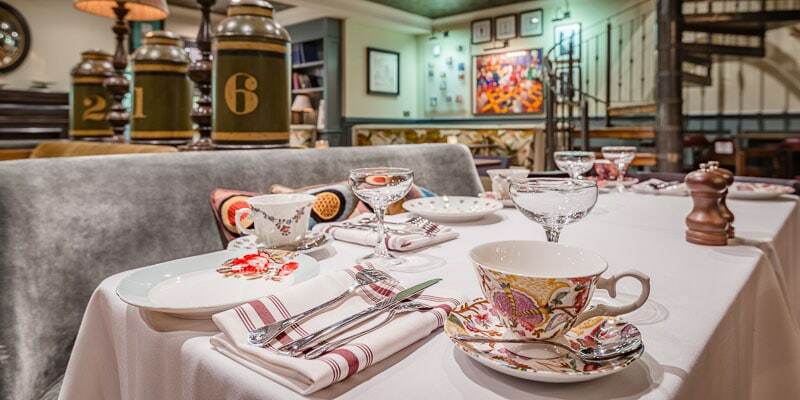 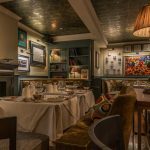 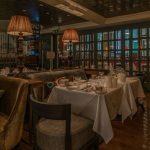 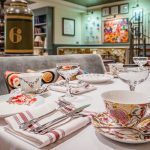 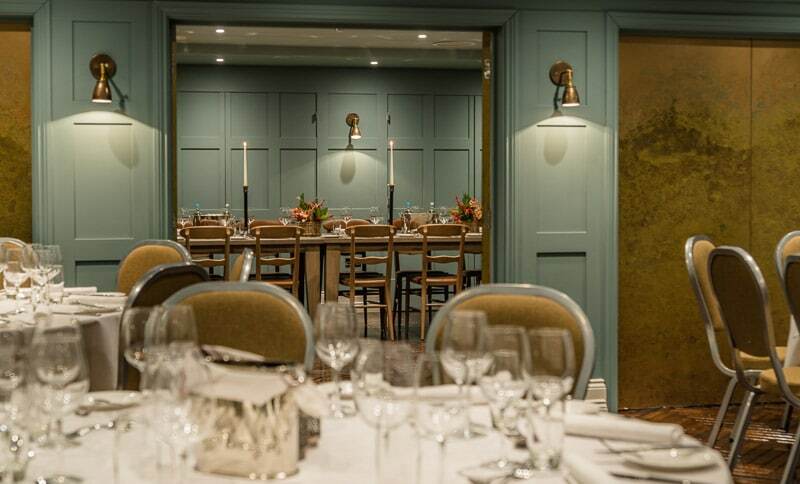 The Tavern, lined with cherry red banquettes, is a vibrant old-school eatery with a brasserie restaurant, off the main brasserie is an informal lounge, the afternoon tea lounge, offering the perfect setting for the very English tradition with a few eclectic twists. 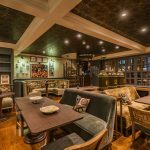 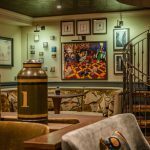 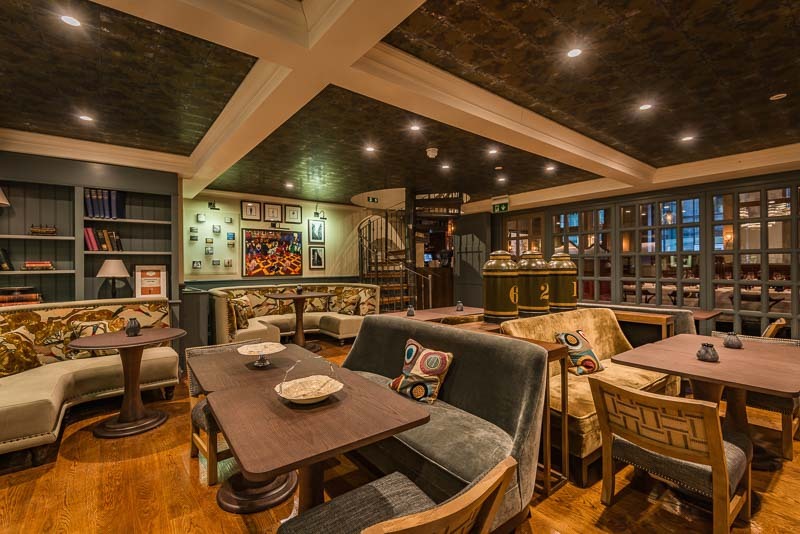 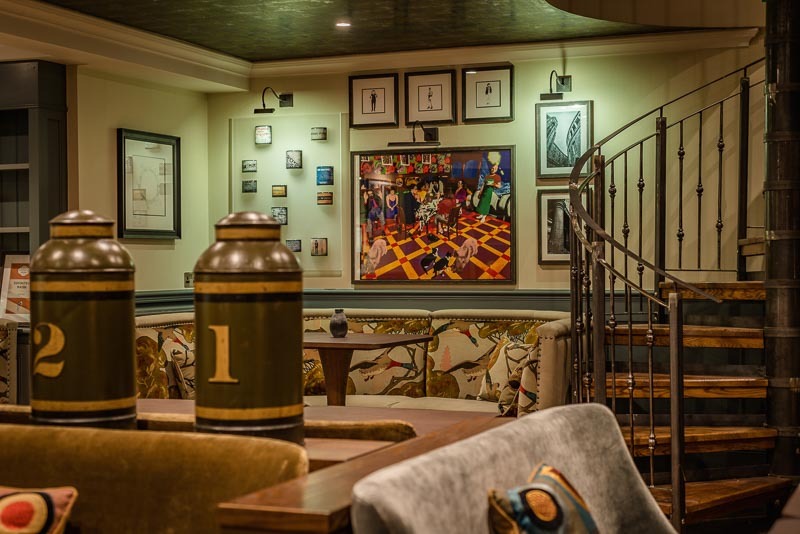 Overlooking the Tavern is the Mezzanine which creates a cosy home from home feel with deep comfy sofas, armchairs and a fireplace at the same time capturing the buzz & atmosphere of the Tavern below. 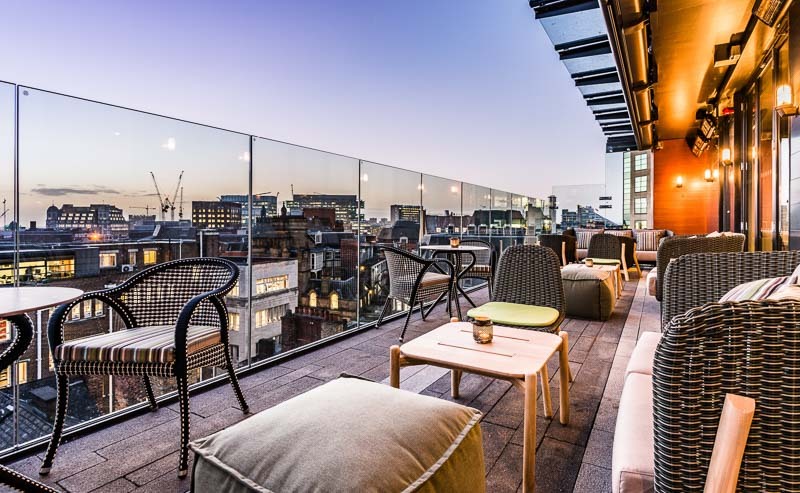 On the 6th Floor, the South Terrace is a social event space, with a heated outdoor space & comfy alfresco furniture. 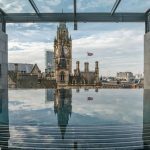 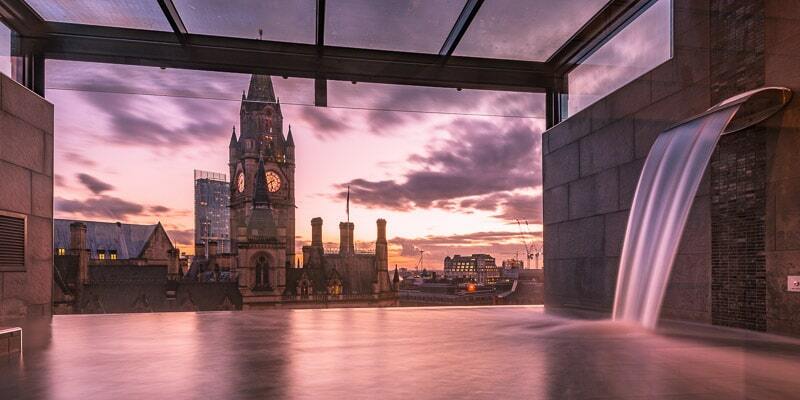 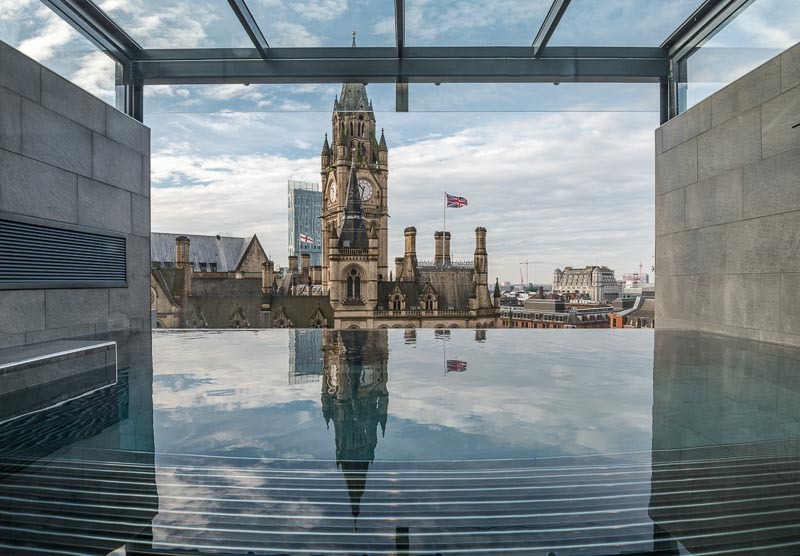 The spires and clock tower of the Manchester Town Hall take centre stage within the spectacular views. 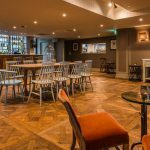 Inside the south terrace lounge is a large versatile space with solid wooden flooring, informal comfortable furniture and a bespoke wooden bar. 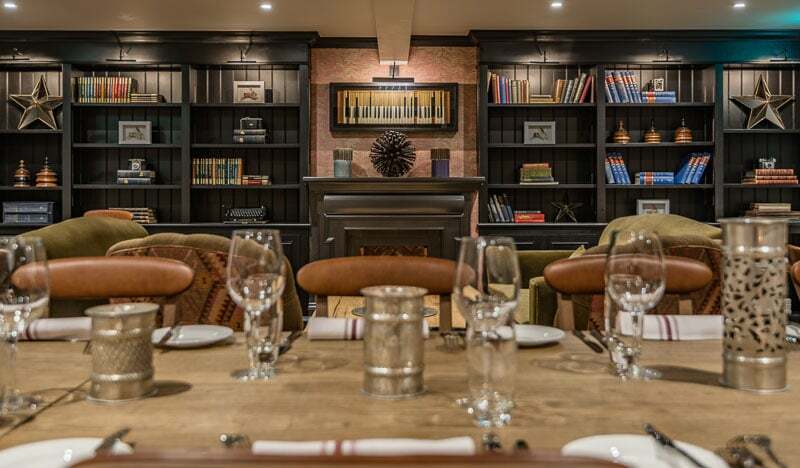 The 40 individually designed rooms and suites are made out in muted colours, blues, greys, burnt orange, ochre, pink, violet, taupe, & green, taking inspiration from Kilim rugs. 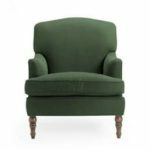 The designs of Maries Corner furniture was very much in keeping with the style that Sally and Eamonn O’Loughlin wished to create. 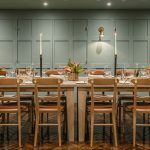 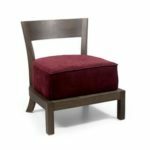 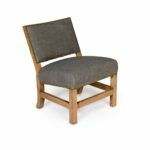 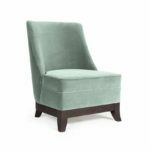 Using the simple design of the Auburn dining chair with tan leather seat around a rustic dining table in the meeting rooms & to create a private dining space in the Mezzanine lounge alongside Hollywood sofas, Chelsea & Atlanta armchairs & the Whiteville. 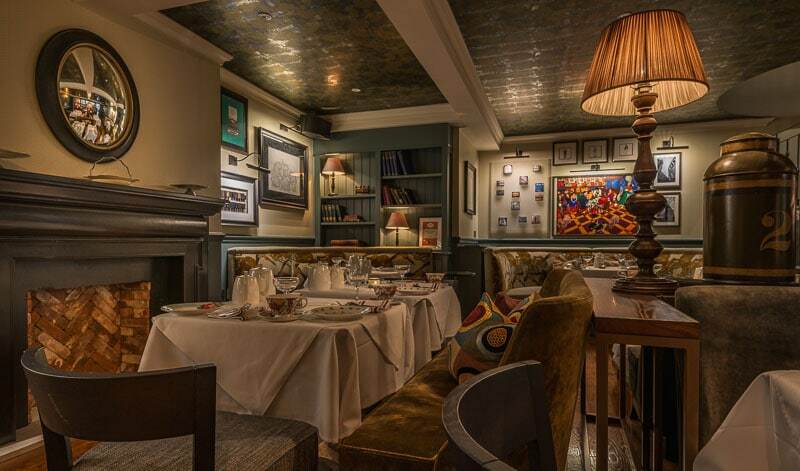 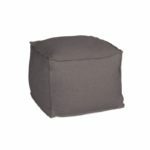 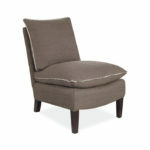 The Dartmouth sofas & the Brentwood occasional chairs provided comfortable seating in the Afternoon tea lounge. 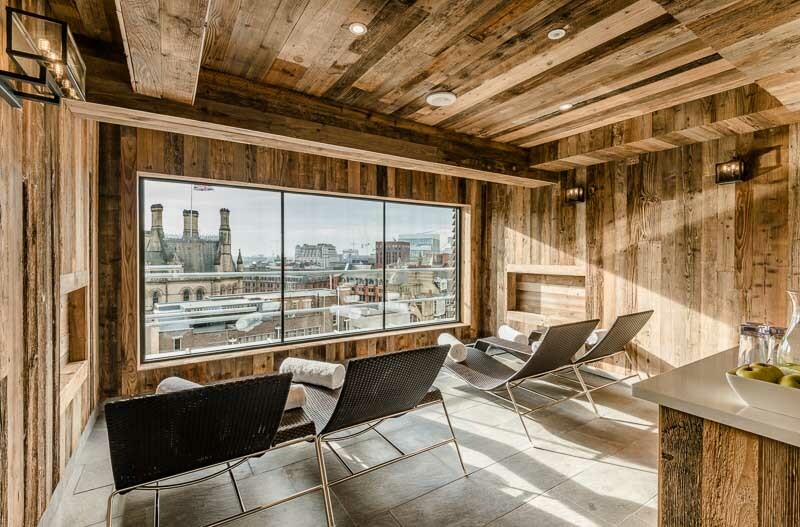 The Pierson chair, Bag pouf and the Burbank sofa accommodate guests on the 6th floor south Terrace. 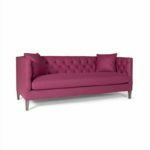 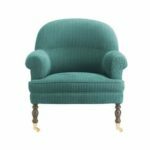 Resizing of the Henderson sofa for the suites and the Home & Brentwood, Dartmouth occasional chairs along with the Rodin stool were used in the bedrooms.